How. Do. We. Get. Students. To. Stop. Reading. Word. By. Word? For a few of my students, fluency is an obstacle that we are trying to battle. I think it's more of a full fledged war at this point! I used to think that as long as my students could read and comprehend what they read, then the rate, in which they read, didn't matter. It might have been hard to listen to, but not extremely important. Needless to say, that thinking didn't last long. Fluency is extremely important. Fluency becomes even more important the older students get. If a student reads slowly, this can result in a ripple effect. If it takes them too long to read a text in class, this in turn can cause them to fall behind. Then grades, self-esteem, and the desire to learn begins to plummet. So, how does one tackle fluency? Listed below are five ways for students to practice along links to reading passages, poetry, and readers' theater scripts that you can print off for practice. Predictable poems that have between 100 and 200 words work best. The teacher begins by reading the text aloud several times while students follow along. Next, chorally read the text with students a few times. 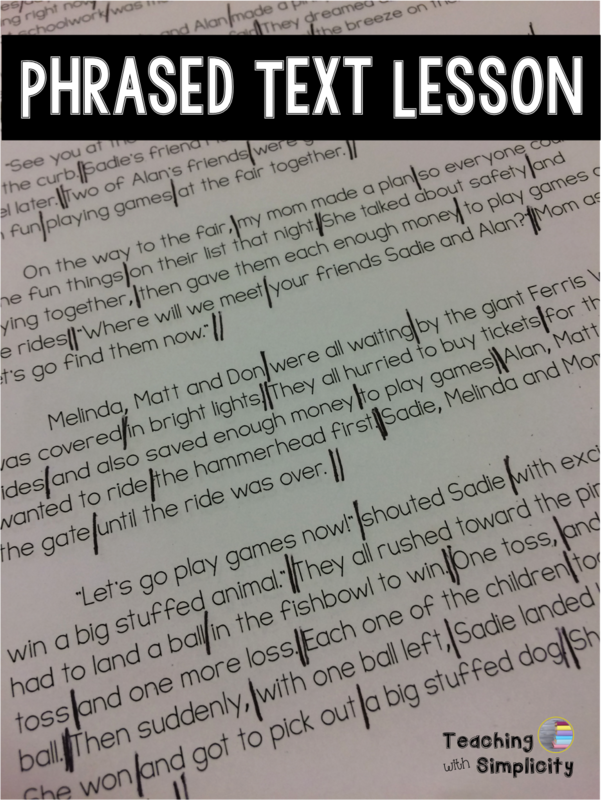 Pair students and have them take turns reading the text to each other. Have them do this three consecutive times. After both students have practiced together, have them perform the text in front of the class. The following day, have students read the text from the day before chorally and individually. Using a short passage, divide the passage into phrases. Before modeling, remind the students of the importance of reading in phrases. Read the text aloud to students several times modeling reading in phrases. Read the text chorally with the students two or three times. Have the students read the text two or three times with partners. Students perform the text for the class. Read the script to students, modeling the fluent reading of the script. Assign students a particular part. Chorally read the script as a class or in small groups. For two or three days, have students practice their parts on their own and in groups. 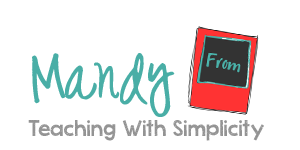 Have students perform the script for their own class or another class. Students are given a passage on or near their instructional level with 50-500 words. Students practice the passage on a daily basis until they are able to reach the number of words correct per minute. This should be a predesignated goal. Once students have reached that goal, they are given another passage to practice. Using the Fry or Dolch word list, create phrases using the high frequency words. Students can read them individually, with partners, or whole groups. Charting student fluency is a great motivator. Check out Charting Student Fluency to see how I use this in my classroom. 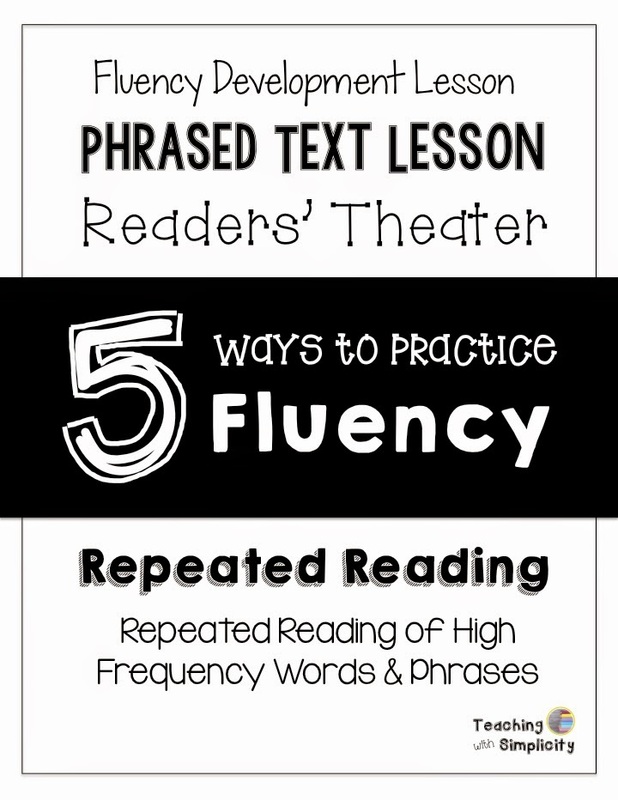 What's your favorite fluency activity? We'd love to hear it!